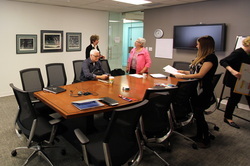 Thanks to the BC Non Profit Labour Market Partnership (LMP) and the Vancouver Foundation, Golden Community Resources Society (GCRS) has been able to participate in shaping the future of the BC non profit sector. GCRS, represented by Ryan Watmough, has made 10 trips to Vancouver meetings, numerous teleconferences and webinars since our appointment to the BC Non Profit Sector Employers Council in 2010 (the LMP commenced in 2009 under the Canada/BC Labour Market Development Agreement). We are grateful for the travel support and opportunities provided. And special thanks to Denise English of the Golden & District Community Foundation (GDCF) for submitting the original application. I would like to introduce myself to you. My name is Heather Hay and I am the Executive Director of BC’s non-profit sector Labour Market Partnership (LMP) Project. In previous emails that you may have received I introduced the project to you, so perhaps you are already familiar with the NPS -LMP initiative. If you have not seen the previous communications, here is some background about the project. 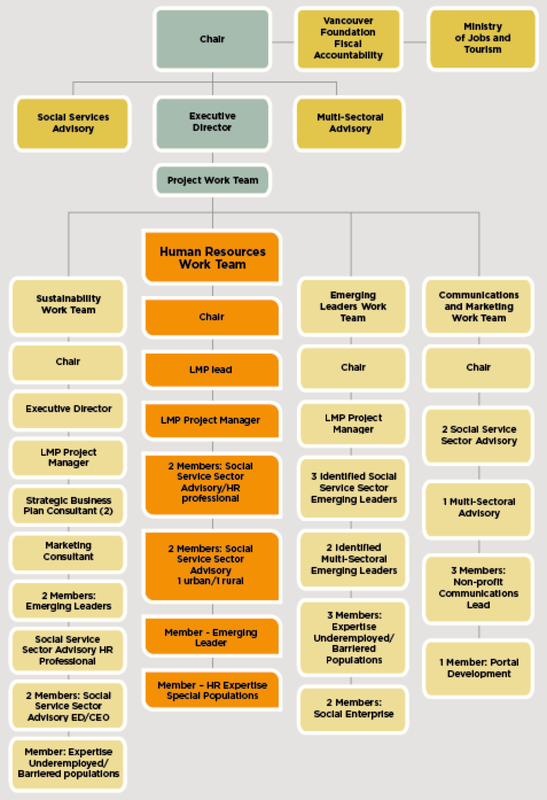 The need for a non-profit LMP Project was identified by the sector through the Government Non-Profit Initiative in 2009 (GNPI), to help address the human resources issues that the entire sector is facing. With over 20,000 non-profit organizations in the province, it is important that together we begin to develop resources that address the long-term human resources needs of the sector. The funding program is a partnership between the provincial and federal governments. 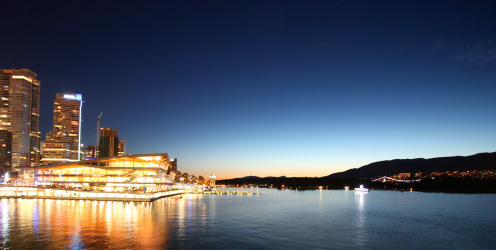 The Vancouver Foundation has been supporting the non-profit Labour Market Partnership project in its development. The goal of the LMP Project is to help develop resources that address the long-term human resources needs of the sector. The vision includes ensuring that the BC non-profit sector is recognized as an employer of choice and a place where all people can build meaningful, productive and long-lasting careers. To achieve this vision we are working together with the BC non-profit sector, and additional expertise, to develop a go-to source of resources and services for human resources management, and create a network of support for today and tomorrow’s workforce. To learn more about the project please visit us at www.THRIVEProject.ca. One of our objectives is to launch an exciting set of human resources goods and services in the Fall of 2013. We are currently in the research and development stage of product development. We have awarded several RFPs to highly qualified contractors to develop the array of goods and services for the sector and we need your help. We would greatly appreciate it if you could provide some input to our project consultants if they contact you. The consultants would like to ask you a few questions about your needs, in order to tailor the products to the needs of non-profits in BC. Once the products are developed, we will also be looking for representative and/or ‘early adopter’ organizations that can review, validate or trial these resources. I hope you can participate in this opportunity to co-create some exciting supports for the sector. It is easy for you to get involved – by responding to our consultants, by forwarding your name to Kinwa.Bluesky@vancouverfoundation.ca, or by registering on our website www.thriveproject.ca. And please feel free to spread the word! Many thanks in advance for your assistance with this important initiative. "The Labour Market Development Agreement (LMDA) transfers funding from Canada to the Province of British Columbia for programs similar to the employment benefits and support measures established by Canada under Part II of the Employment Insurance Act. The originating source of funding for these programs is the Employment Insurance (EI) Account– generated through EI contributions by employers and employees. Labour Market Partnerships is a program used by the Province of British Columbia to encourage, support and facilitate labour force adjustments and human resource planning activities which are in the public interest. Projects funded through the LMPP support the following principles. Collaboration: projects involve the collaboration of partners who will provide a measurable contribution to the success of the project. Innovation: projects test innovative approaches to labour market or human resource issues. Results Orientation: projects include measurable objectives and achieve tangible outcomes and outputs. Sustainability: projects demonstrate organizational capacity to ensure HR strategies developed under LMP are sustainable. Comprehensiveness: projects consider current labour market issues as well as future and far reaching implications. Accountability: projects report on outcomes and demonstrate effective and efficient financial management." The Province of BC has committed $5M to this initiative, which is administered by the Vancouver Foundation. The entire project is due to be completed by March 2014, but a lasting sectoral change must be put in effect by this time. The BC Non Profit Sector Employers Council has evolved into the Social Services Advisory Committee, which is detailed below. In 2013, the project has been branded as "tHRive" as a portfolio of HR-related adaptive skills and resources are developed. While special emphasis will be put on developing and communicating HR resources, it is understood that the entire sector needs to benefit from this initiative. "As stated in the Labour Market Partnership 2012-2013 Strategic Plan released in December 2012, "the diversity of the non-profit sector, the nature and complexity of its work, and the history and context in which it operates all contribute to substantial human resource challenges." Furthermore, "labour market trends and forecasts suggest that unless action is taken, these challenges will continue to grow." After undergoing a governance restructuring in mid-2012, the LMP aspired to build towards a self-sustaining entity that would be established to endure past the completion of the Canada/BC Labour Market Development Agreement, the funding of which is set to expire at the end of March 2014." - LMP Communications Plan Overview, 2013. The short video below provides a great overview of the challenging environment BC's non profits are operating in and the special opportunity this LMP has to improve conditions and results for all. For more information on resources and RFPs, please go to the tHRive Project website. 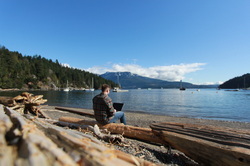 THRIVE Adaptive Skills + Resources for BC's non-profit sector from Zack Embree on Vimeo. Having a Golden-based organization at the table of a provincial initiative is very useful on a number of fronts. First, it keeps the needs of small, rural non profits and communities top of mind with larger province-wide service providers and funders. Non profits come in all shapes and sizes and GCRS is representing some of the smallest in BC - even though it is one of Golden's largest. Second, it provides Golden with an immediate connection with pilot studies and other research being conducted provincially and nationally. Finally, GCRS will be part of the development of a 'one-stop-shop' for non profit organization resources, which will help serve and shape the community and local non profit sector for years to come. For more information, please contact Ryan Watmough at 250-344-8610 or nonprofits.gcrs@gmail.com.